So when is the white iPhone 4 coming, well apparently the pale iOS smartphone is already here in Italy at least, and what’s the first thing you do with a handset that the world has waited for, for so long, why you unbox the thing on video. Thus we have for your viewing pleasure below the first unboxing of the white iPhone 4, which comes our way courtesy of the guys over at iPhone Download Blog. The guys over at iSpazio managed to get hold of the white iPhone 4 a day before its release in Italy so set about doing the deed. Obviously though there’s no great difference in unboxing the white iPhone 4 than any other iPhone, but at least it proves that finally the iPhone 4 in white is finally making it out into the real world. As for whether the white iPhone 4 will suffer the same problems with the antenna, the guys say they’ll be testing that soon, but it does seem a bit of a shame if you have to slap a bumper on that shiny white surface. 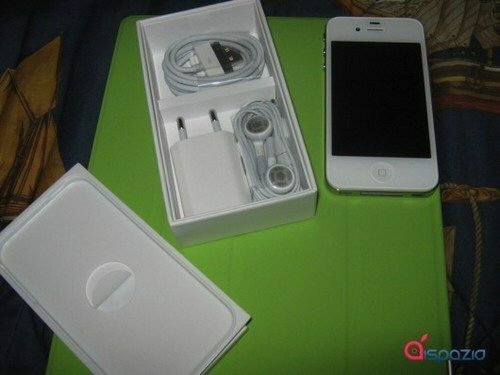 Anyway head on down, and mash that play button to check out this first unboxing of the white iPhone 4…enjoy.